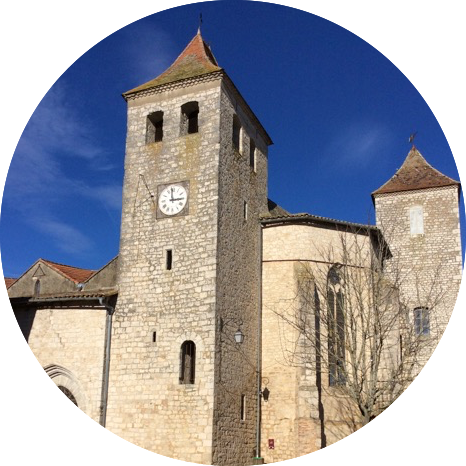 There is a clutch of them in the Tarn, all fine examples of medieval architecture. Auvillar and Lauzerte are two of the best. 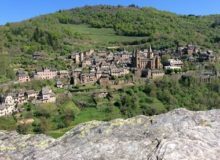 Each of these marvels, dating from the Middle Ages, is classified as one of the The Most Beautiful Villages in France — an appellation limited to only 150 places. 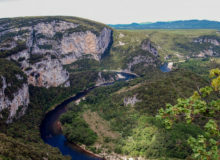 Others in the area which vaut la visite include Montjoi, St-Nicolas-de-la-Grave, and Castelsagrat. 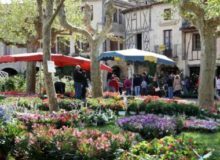 All are within a stone’s throw of Moissac; a pretty but not spectacular town on the River Tarn. So why then, does it attract over one million tourists each year? It boasts one of the pearls of medieval architecture: the one-thousand-year-old Abbey Church of Saint Peter, a masterpiece on the Pilgrims’ Way to Compostela. 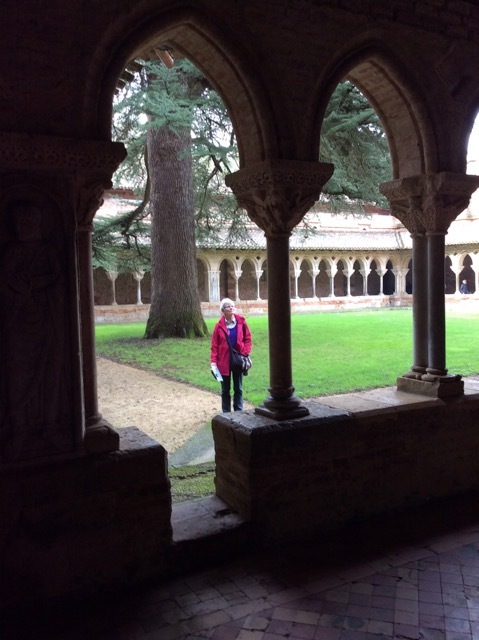 The adjacent cloister consists of a covered walkway and 76 marvellous Romanesque marble columns with stone capitals depicting scenes from the lives of the saints and martyrs. 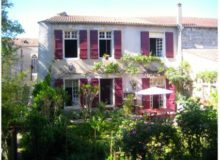 The St. Jacques route follows Le Canal Latéral de la Garonne, which runs along the edge of the town. This amazing seventeenth-century engineering construction is a World Heritage Site linking the Atlantic with the Mediterranean. 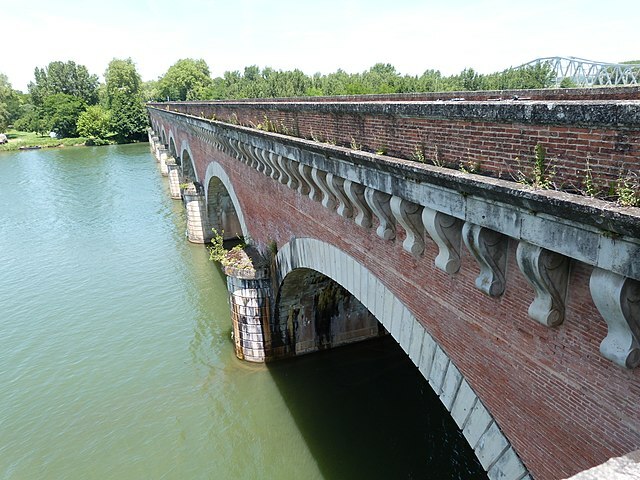 A 20 minute stroll along the canal brings you to another stunning sight, where the Pont-canal du Cacor takes the canal over the River Tarn. Boats can be seen sailing on the Canal des Deux Mers bridge as they cross high above the river traffic on the watercourse below. 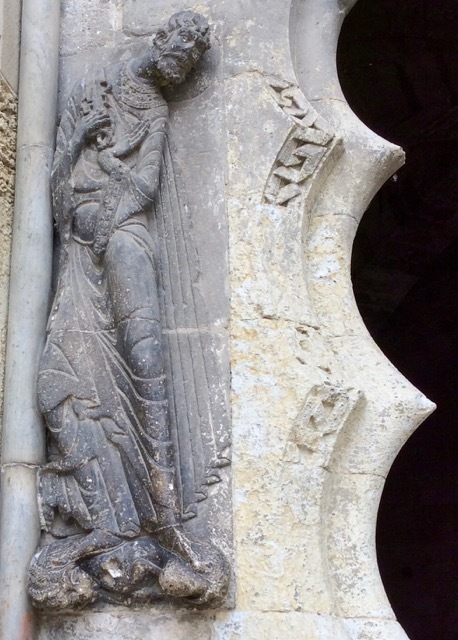 But back to Saint Peter’s Abbey in Moissac. 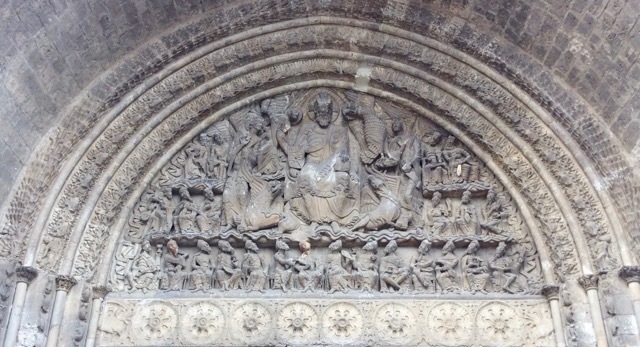 The tympanum and west entrance are UNESCO classified as sculptures majeures of Romanesque art. Twelve elders twist their heads to see what’s happening on the level above where Christ sits in majesty flanked by the four Apostles. He’s checking how naughty those who are wanting to be saved have been during their lives on earth. Some will be granted entry to Paradise—others will be dispatched to a less happy place. Saint Peter himself can be seen at the entrance of his church holding the keys to the Kingdom of Heaven. During the Revolution the sans-culottes swept across France intent on damaging Church property. Sixty years later, demolishers in the guise of developers were still at it — all in the name of progress. In the mid-nineteenth century, at the height of French industrial development, Saint Peter’s Abbey stood on the cusp of disaster. Expanding the railway network was seen as a vital component to provide materials and commerce to a fast developing department. There was only one problem – the Refectory at Saint Peter’s was in the way. And also the Cloister, if necessary. Who knows where it would have stopped? Luckily, in 1850, and in the nick of time, the Cloister was placed on the National Monuments listing, which effectively placed the complex out of reach of the train line developers. The vandals’ plans had been thwarted. Let’s hope that Saint Peter withheld his keys when the railway planners appeared at the Pearly Gates. Surely both believers and non-believers would agree that cultural hooligans should never be welcome in Heaven? Who knows what they’d try to destroy there in the name of progress? 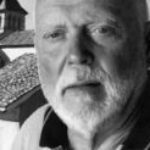 Have you ever been to Moissac? What are your views on the preservation of Saint Peter’s Abbey? Join the discussion in the comments below.